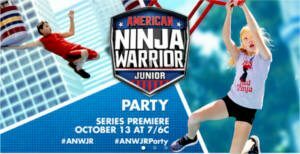 Apply to host an American Ninja Warrior Junior Party on October 13th, 2018. 1250 host spots are available. If your application is accepted, you’ll receive an exclusive party pack to host the event.